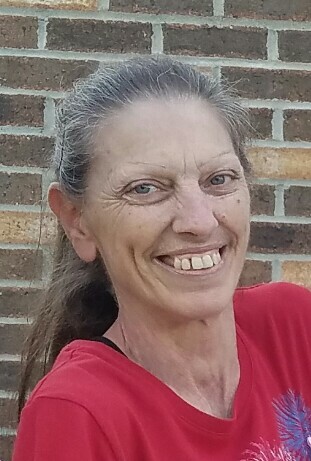 Linda M. Michel, 58, of Butler passed away Friday, August 31, 2018 at her residence. Born July 2, 1960 in Olney, IL, she was a daughter of the late Richard and Evelyn Chambers Rennier. She retired as a Stacker from the Butler Color Press. She was a member of St. Mary of the Assumption Roman Catholic Church in Herman. She was an avid bingo player who enjoyed crossword puzzles and sudoku. She especially enjoyed traveling to Illinois for the holidays and spending time with her family. Surviving is her husband, Paul D. Michel whom she married November 17, 1986. Her children: Katie Kildoo of Gibsonia, Karen (William) Ross of TX., Dustin (Ericka) Michel of WA., Keisha Michel of Butler., Daniel (Jessica) Michel of Butler and Devin (Kristen) Michel of Herman. Seven grandchildren: Alexis Kildoo, Zachary Wynne, Brennan Ross, Evelyn Michel, Addilyn Ross, Isabel Michel and Louis Michel. Two brothers, Richard (Beverly) Rennier and Michael (Janice) Rennier, both of IL. Three sisters, Sherry Rennier of MO., Jacqueline Abbott of IL., and Cheryl (John) Servey of Shippenville. In addition to her parents, she was preceded in death by a brother, Jeffrey Rennier and a sister, Janice Rennier. Friends will be received at the Geibel Funeral Home, 201 East Cunningham St. Butler, PA 16001 from 2-4 and 6-8 pm Wednesday. A Mass of Christian Burial will be Celebrated Thursday at 11:00 am from St. Mary of the Assumption Roman Catholic Church, 821 Herman Road, Butler, PA. Interment will follow at St. Mary Cemetery. In lieu of flowers, the family requests donations be made to the Linda Michel Bingo Memorial. For more information please contact Keisha Michel at 724-991-2790 of Jessica Michel at 814-441-2281.